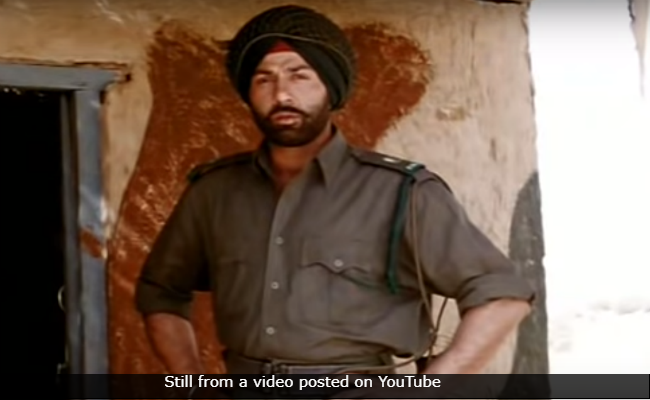 Actor Sunny Deol, who has featured in movies like Gadar: Ek Prem Katha, Border and 23rd March 1931: Shaheed, says he never did patriotic films because the theme was saleable. Sunny spoke about it at the trailer launch of Behzad Khambata's Blank, which marks the debut of Karan Kapadia, in Mumbai on Thursday. As Bollywood has seen a resurgence in patriotic dramas in the last few years, Sunny was asked about his views on it. He said, "First and foremost, are we patriotic or not? Do we love our mother, do we love our country? That is most important thing. It should not be taken like some kind of saleable thing. And that is how I've done my films. I made films because I believed in the characters and mostly I've done films where the characters have been strong and fight for something. "That is my nature too. I am not the kind of person who gives up. "He said that now makers are bringing out films according to seasons. "Some of the films I've done are patriotic in nature and people somehow connect with me more. It was never a saleable thing which we did. But now the whole world is changing, everything has become marketing. So everything has to have a reason - why we do, what we do and then we all want to make graphs about it. Everybody does that nowadays. That is what's happening right now. People make things according to seasons," Sunny added. For now, the veteran actor is excited about Blank, which launches Karan, the nephew of Dimple Kapadia and son of Simple Kapadia. On working with the newcomer, Sunny said: "Nowadays newcomers are so well prepared about what they want, what to do and why they want to do it. I think Karan Kapadia was very definite about this project. He had already gone through it with the filmmaker. That is very nice because then you own the character and the subject, and it comes across very well. He has done a great job"
The film releases on May 3, 2019.